Went on a fishing venture with our neighbors! caught this big baby 125 pound Marlin! took us less than 20 minutes to reel’em in. My daughter drove the boat while I stayed steady! "I've been a Veteran for 32 years and am a Retired Navy Firefighter. I'm also a grandfather of 9. 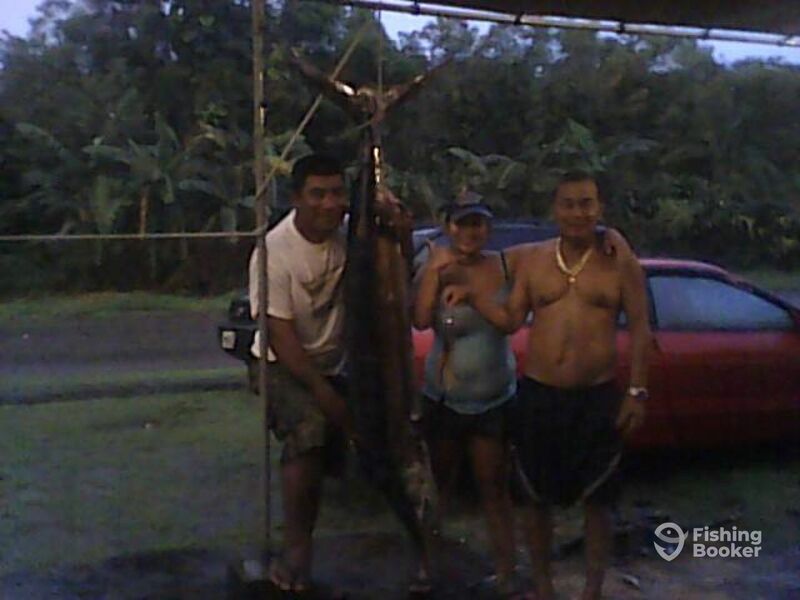 I fell in love with my first catch and decided to run charter services for the beautiful island of Guam. I would like to share my experience and expertise with Guam's tourists." Captain Jesus Taitingfong owns and operates Santa Marian Kamalen Charters. 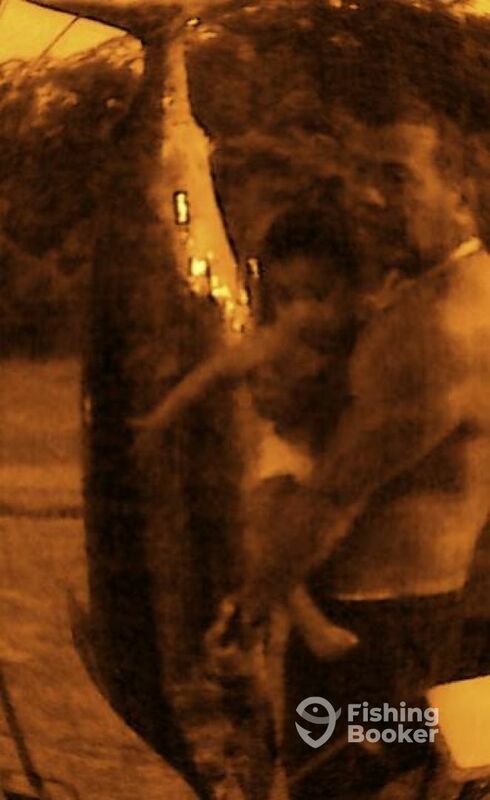 He was born and raised in Guam, and has been fishing since childhood. He fishes on a daily basis, taking home a variety of deep sea trolling species. 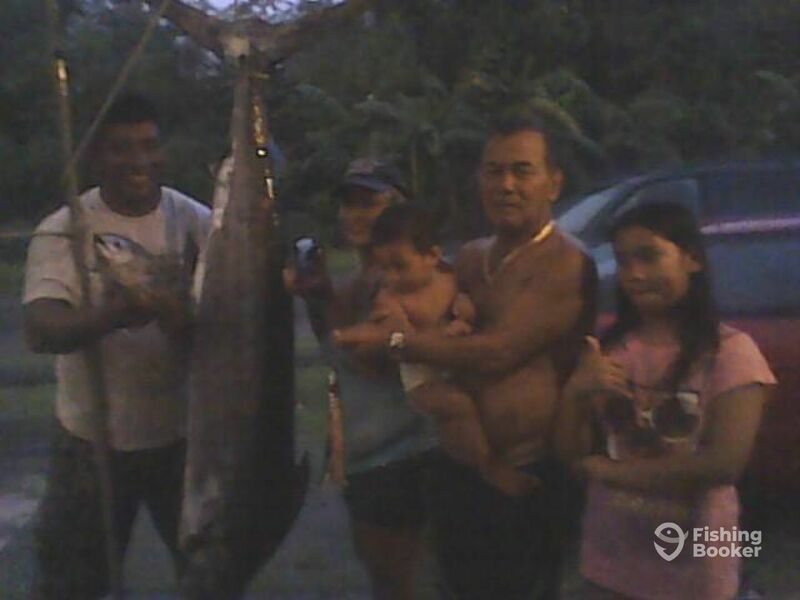 He loves introducing new and experienced anglers alike to the beautiful and bountiful waters of Guam! Went trolling for 8 hours! caught a few Mahi Mahi and Tuna! Hooked on a Marlin! a 250 pounder! but it ran!